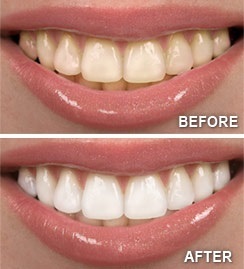 Beauty tips with Dawn Marie: How to get a brighter, whiter smile! Just like our skin, your teeth can age over the years. Did you know that surface stains can be caused by the following? We all want a whiter, brighter and younger smile-last year, 10 million Canadians spent over 1.7 billion dollars on teeth whitening products. Why spend thousands of dollars at the dental office and on over-the-counter remedies when you can make you own! In a small cup, place a dime sized amount of toothpaste. Mix in 1 teaspoon of baking soda and ½ teaspoon of water. Add 1 teaspoon of hydrogen peroxide. To achieve maximum results, repeat steps 1-5 2 times a week. Once you start to see results, use the mixture once a month.